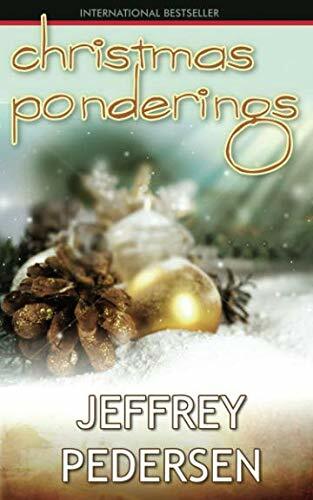 Christmas Ponderings is a collection of twelve Christmas stories told through the eyes of common ordinary people. These stories will help us to meditate on Jesus who was born Immanuel, God with us. These stories can be used as dramatic, first-person portrayals used at Christmas worship services, special events, and other occasions. Rev. Pedersen has used these stories for Christmas Eve., worship service meditations. As we receive Jesus Christ, we are reborn children of God. It is by the Holy Spirit that we experience Jesus in our common ordinary lives. Rev. Pedersen has integrated the Christmas stories, Biblical context, theological perspectives, and common ordinary life experiences in writing these stories. Rev. Jeffrey P. Pedersen has been a pastor for more than 20 years and has a Doctor of Ministry degree. He has earned degrees from Concordia College, Moorhead, Minnesota; Luther Seminary, St. Paul, Minnesota; and Colorado Theological Seminary, Wheat Ridge, Colorado. Rev. Pedersen is also the author of the books Endless Running, River Reflections, and Cross-Winter Skiing. He has a weekly television Bible study on KFXB Christian television, Dubuque, Iowa, and has been the keynote speaker at Christian conferences across the United States.